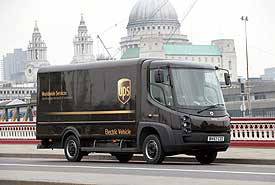 Over 2 million European consumers use UPS’ online platform ‘UPS My Choice’. The service enables retailers to offer a platform for consumers to manage their deliveries online. “With the continued growth of global e-commerce comes more packages,” said Luis Arriaga, president UK, Ireland & Nordics at UPS. “UPS is focused on delivering where consumers are, not where they aren’t”. The service is available in Austria, Belgium, Denmark, France, Germany, Italy, the Netherlands, Poland, Spain, Sweden, Switzerland and the UK.